Why has Mother Agnes been kicked off the StW platform? Stop the War: choosing ‘left’ imperialism over anti-imperialism! Stop the War’s ‘international anti-war conference’ on 30 November has a big gap in its line-up of speakers, thanks to the persistence of the pro-war lobby and the spinelessness of its own leadership. These leaders have recently been trying to take credit for the heroic work of the Syrian people’s resistance and of diplomats from a number of countries, principally Russia, who between them managed to stall the all-out war plans of US and British imperialism. 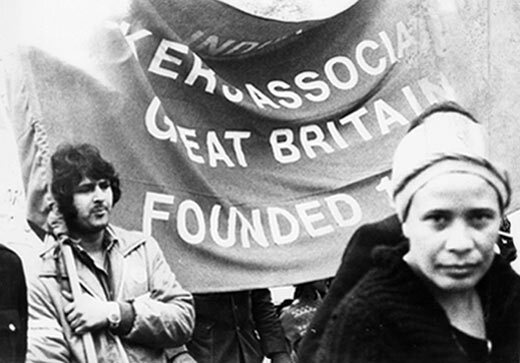 StW has been quick to claim a victory for itself, however, insisting that ‘anti-war activity’ by its members stopped the invasion. If only that were true! In reality, meaningful mobilisation by StW against the barbaric assault on anti-imperialist Syria, and in support of the Syrian people’s desperate struggle to maintain their freedom from superexploitation, has been notable only by its complete absence. In reality, far from being an evil ‘dictator’, Bashar al-Assad is a popular leader, head of a freely elected, national-unity coalition government that firmly opposes imperialist meddling in Syria. In Britain, however, where imperialist moguls reign supreme, such simple facts are never aired in the corporate mass media. In line with imperialism’s ‘no tolerance’ policy towards the truth, the initially publicised list of speakers for this weekend’s conference was nearly all firmly anti-Assad. One unexpected and notable exception was Mother Agnes, a carmelite nun who lives in Syria, and who has been working to establish temporary ceasefires between government and terrorist forces in order to help civilians escape from battle zones. Living in Syria, she understands that the vast majority of Syrians support their government against the proxy terrorist forces that have been armed, funded and directed by western imperialism. Living in Syria, she can see through the claims of the terrorists and their backers that the Syrian government launched poison-gas attacks on its own people, and so has asked some very pertinent questions about the spurious claims of the warmongers. Why, asked Mother Agnes, were there no terrorists among the dead? Why were there so many children in an area that had been mostly cleared of civilians? Why were the same dead children appearing in pictures of gas victims that were supposed to be from different sites? And why were parents of children that had been kidnapped by terrorists many miles away able to identify their children in the gory pictures that were served up to the world’s media as proof of President Assad’s ‘brutality’? 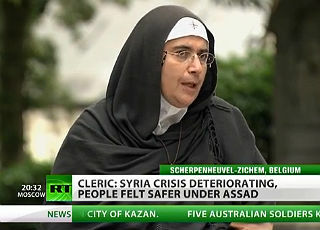 This first-hand knowledge of the situation in Syria has led Mother Agnes to ask another, entirely logical, question: Why would the Syrian government need to use poison-gas attacks when it is clearly winning the war using conventional weapons, and when its soldiers are welcomed as heroes and liberators by Syrians who have been forced to live under terrorist control? Such an outrageous adherence to facts and logic has made Mother Agnes a target for all kinds of scurrilous attacks, with her many detractors in the imperialist world claiming that she is everything from anti-muslim and an apologist for war crimes to just plain stupid. Human Rights Watch, a thoroughly pro-imperialist organisation, has been particularly vocal in trying to besmirch Mother Agnes’s motives and reputation. Another equally pro-imperialist outfit that has been indulging in a frenzy of abuse against Mother Agnes is political weblog pulsemedia.org. The man who runs Pulse is Muhammad Idrees Ahmad, a fervent supporter of FSA and al-Qaeda terrorists in Syria who has openly called for imperialist bombing of the country. In a piece for Al Jazeera US, he opposed the idea of ‘non-intervention’ and concluded that an “externally imposed solution is less egregious than dooming Syria to prolonged war”. So rabidly pro-war is Ahmad that he has even accused StW’s supine leaders of a “dogmatic opposition to western intervention and disregard for suffering Syrians”! Pulse targeted the two ‘biggest’ names (in that they both make a living as high-profile ‘left-of-centre’ commentators in the corporate media machine) on the conference platform, subjecting Jeremy Scahill and Owen Jones to a tweeting assault that they did not even attempt to resist. Ahmad told these career-minded worthies that they would be sharing a platform with a ‘supporter’ of the ‘tyrant Assad’: a woman who ‘lies’ for the cruel regime that is murdering thousands of Syrians daily – a war criminal, no less! Scahill and Jones didn’t take much pushing. All their ‘anti-war’ convictions were quickly overcome when faced with the prospect of national media headlines linking them to the stated enemies of imperialism, and they went running for the exit with all haste. These two fearless activists were not going to share a platform with an apologist for war crimes, the conference organisers were told. In double-quick time, Mother Agnes was off the list and Scahill and Jones were back on. We are not sure how Mother Agnes came to be invited by StW in the first place, but she would have been the only speaker to have brought the authentic voice of the Syrian majority to this supposedly ‘anti-war’ event. Having big ‘names’ and acceptable politics is much more important to Corbyn, German, Murray, Rees and the rest of the clique that runs StW, however. None of them want to risk getting labelled as ‘pro-Assad’, either! Clearly, that would be a total career killer in an imperialist country like Britain, whose rulers are still desperate for the overthrow of Syria’s fiercely independent government – by whatever means necessary. Let us suppose for a minute that Mother Agnes really is just a mouthpiece for President Assad, and that Assad himself is every bit the demon that imperialism paints him as – would that really be enough to stop Jones and Scahill from speaking alongside her? Owen Jones, like StW chair Jeremy Corbyn, is a member of the Labour party. Both men call on British workers to support, join and vote for a party that is drenched in the blood of millions of innocents – victims of imperialist wars their party has launched while in office or has supported when playing the role of Her Majesty’s loyal opposition. Not to mention the blood of untold millions who have died as a direct result of the looting of their countries by British corporations – or even the thousands who have died in our own country as a result of NHS privatisation and other welfare cuts. Whether in or out of office, Labour has consistently supported all these murderous activities of our ruling class. The idea that someone from this filthy stable is really fussy about sharing platforms with war criminals is laughable. After all, Jones has shared platforms with Labour politicians who were key architects of the invasions and genocides in Iraq and Afghanistan – some of the worst crimes of the modern era. Far too many ‘leaders’ in the trade-union, labour and peace movements in Britain are of the same ilk. Are they merely gutless seekers of ‘pelf and place’ who dare not stick their necks out for fear of losing existing or anticipated careers? Or have they intentionally worked their way into positions of leadership just so they can hold back the development of a real struggle against imperialism in Britain? In the end, it doesn’t really matter. In politics, motivations are irrelevant; it is the outcome of their actions on which our political leaders and activists must be judged. 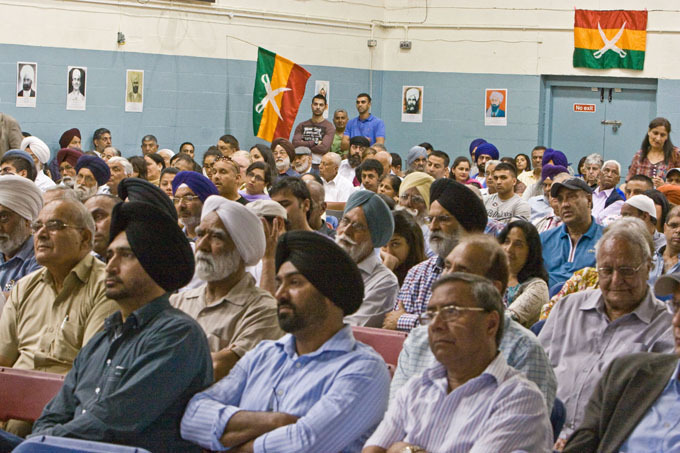 What we need to understand is that, whether accidentally or on purpose, StW’s leaders always manage to come down on the side of imperialism, helping to demonise the victims of imperialist aggression and to neutralise the opposition to imperialist war at home. Mother Agnes has single-handedly demonstrated that Stop the War is not about stopping the war; it is about keeping the anti-war movement within limits that are acceptable to the imperialist warmongers. It is about the warmongers keeping the masses of anti-war activists under tight control. Defend Syria! Down with imperialism!